Recently HeadBangers LifeStyle teamed up with the nice people of ReverbNation to give 5 new promising bands or artists a chance to extra promotion and exposure. We were overwhelmed by the number of bands that submitted their songs. Believe us when we say it was hard to choose because there were many promising bands and artists between them. At the end of the day we received 1250 submissions and reached almost 800.000 people. Now it’s time to put the winners in the spotlight. The fifth and last band we want to introduce to you is NEVERWAKE from Pittsburgh, USA. NeverWake can be considered as part of the new wave of American metal bands; 4 youngsters who follow the musical footsteps of successful modern metal bands such as Bullet For My Valentine, Trivium, Avenged Sevenfold, Disturbed, a.o., combining modern sounding heavy, shredding guitars and pounding rhythms with melodic elements and harmonies. Raised and fully supported by musician and music loving parents, it is not a surprise these guys have a tremendous love and passion for creating music in their nature and it is a no-brainer the band is strongly devoted to make their career in music work on a professional level. 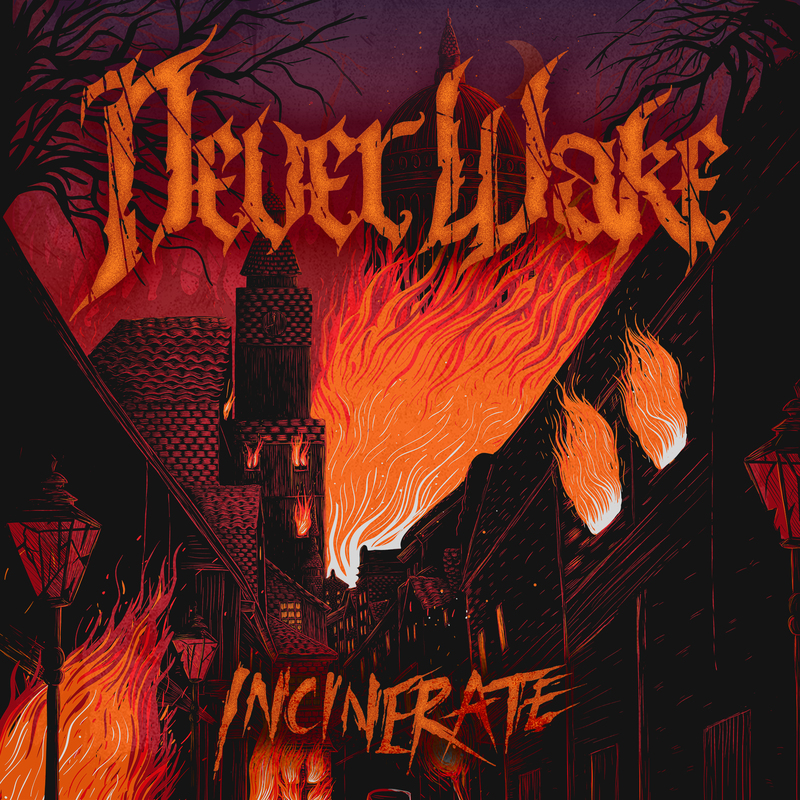 So far NeverWake released the debut full-length album `Vitality’ , `Sleepwalker’  and the 5-song EP `Incinerate’ , they had the balls to record their own version of Michael Jackson’s hit ,,Thriller’’ and played many local and nationwide venues already. HeadBangers LifeStyle is impressed by the sound of NeverWake and asks guitarists/vocalists Johnny DiCarlo and Justin Sanford a few questions as an introduction to the HBLS readers. First of all, why should people listen to your music? What do you want to achieve with NeverWake? What makes you different from other bands in the genre? Describe your music in 3 sentences maximum? What made you decide to [also] release your songs through platforms like ReverbNation? How important are social media and the Internet for spreading the name of NeverWake and how do you use it? Your latest, third release, the 5-track EP `Incinerate’ (2016) is produced by John Moyer of Disturbed. Why did you want to work with John as a producer? Was it easy to get him for the job? And what magic did you see happening while workingwith John in the studio? On your latest EP you recorded a cover of Michael Jackson’s well-known hit `Thriller’. Why covering this song and what were you aiming for with your interpretation? How important are the lyrics for the band in general and what are they standing for? Are you working on new material and are there concrete plans for a new release? How far would you go for success? Your biggest achievement so far? How do you get your live shows? What can people expect when they come to see a NeverWake live show? What is in the agenda for the band the upcoming months?